It is the second Thursday of the month. Join us at the EDGE bar at the Four Seasons hotel in Brickell to talk Bitcoin and all things related to cryptocurrency and decentralized systems. Bitcoin Networking events are a great opportunity to meet and network with fellow Bitcoin enthusiasts in a social setting, and all knowledge levels are welcome. The event starts at 6 p.m. and has no fixed end time. The Four Seasons is a hotel in Brickell with a comfortable, professional, and stylish atmosphere. 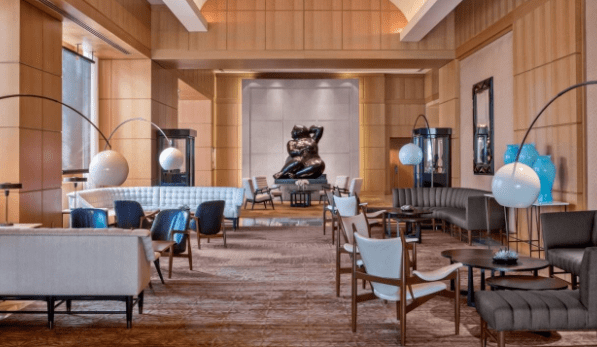 Located on the 7th floor of the Four Seasons hotel, the bar and terrace areas have plenty of quiet seating, beautiful views, and tasty drink and food options available. When entering the Four Seasons lobby from Brickell Avenue, use the right group of elevators to go to the 7th floor, then proceed to the left toward the bar and outdoor areas. We will be in the bar area on the 7th floor of the hotel, which includes the seating area before the bar as well as the outdoor terrace. If you cannot find us, ask a hotel representative for help finding the bar or look around until you find the group.